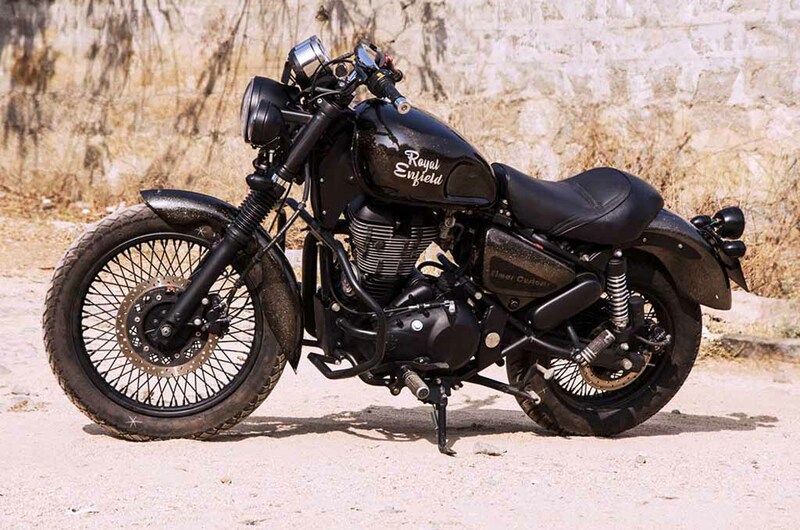 This Modified Royal Enfield Thunderbird 350 Is All Muscle! 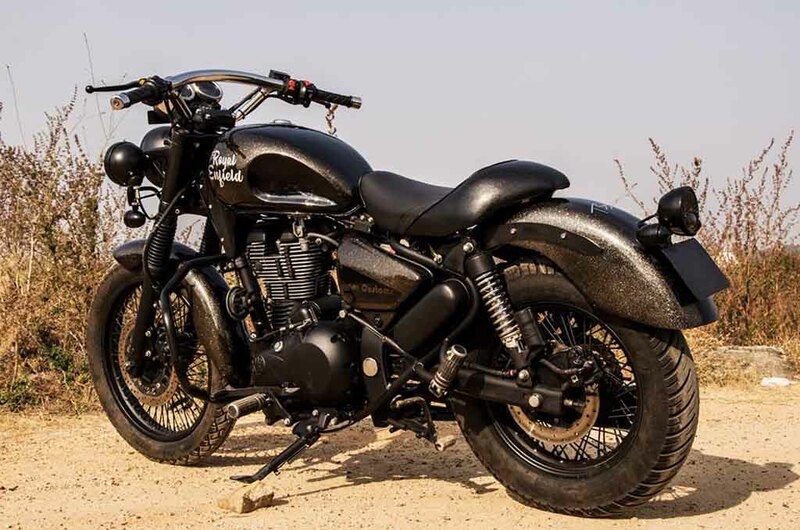 Home Bikes News This Modified Royal Enfield Thunderbird 350 Is All Muscle! 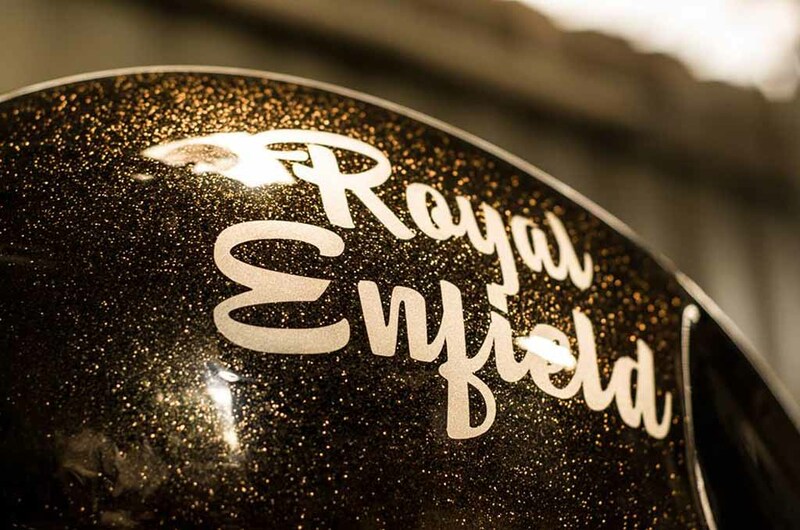 Royal Enfield is one of the most favourite brands for the riding enthusiasts who love cruising. 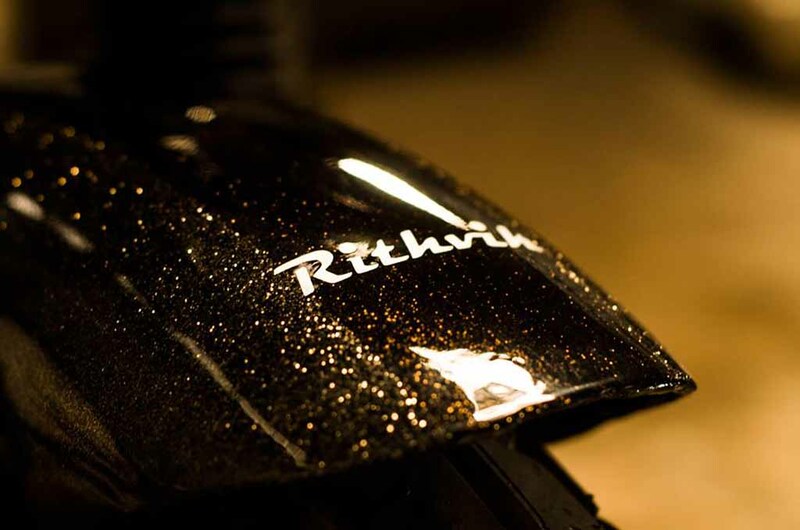 The products from the Chennai-based motorcycle manufacturer are popular among the customisation studios as well. 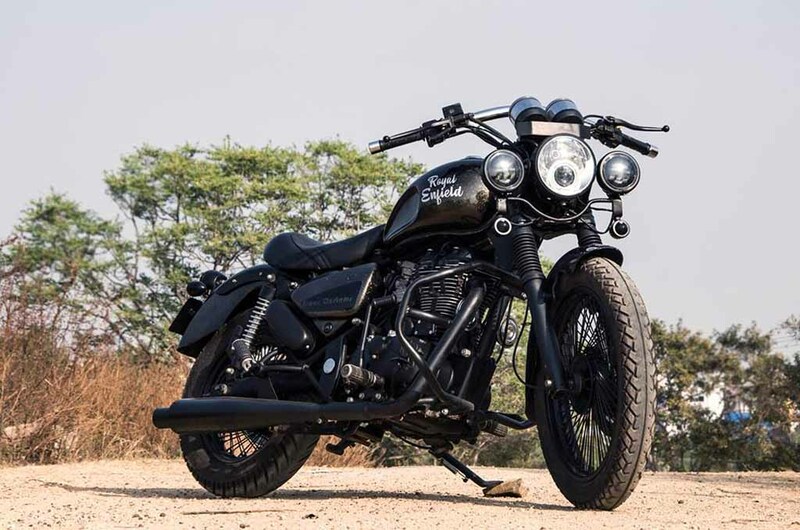 Here is a Royal Enfield Thunderbird 350, modified by the Hyderabad-based Eimor Customs to give the muscular cruiser even more powerful appearance. 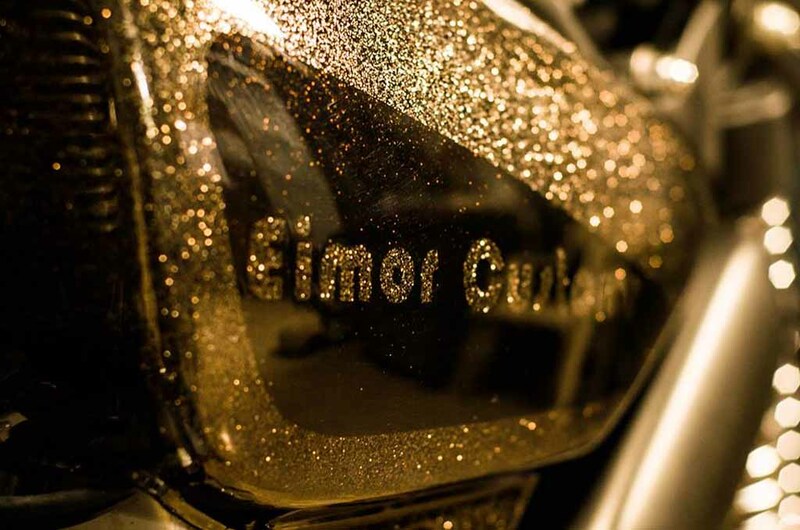 The customised Thunderbird 350 comes christened as the Gold Stone. The motorcycle has been modified to offer the rider a blend of comfortable riding experience along with a powerful stance. The muscular looking motorcycle has been designed for a rider with height of 6 feet 2 inch. Te Royal Enfield Thunderbird 350 Gold Stone appears with an all black paint with golden grain finish. Up front, the large round shaped headlamp complemented by twin hazard light comes wearing a black paint scheme instead of chrome garnishing. 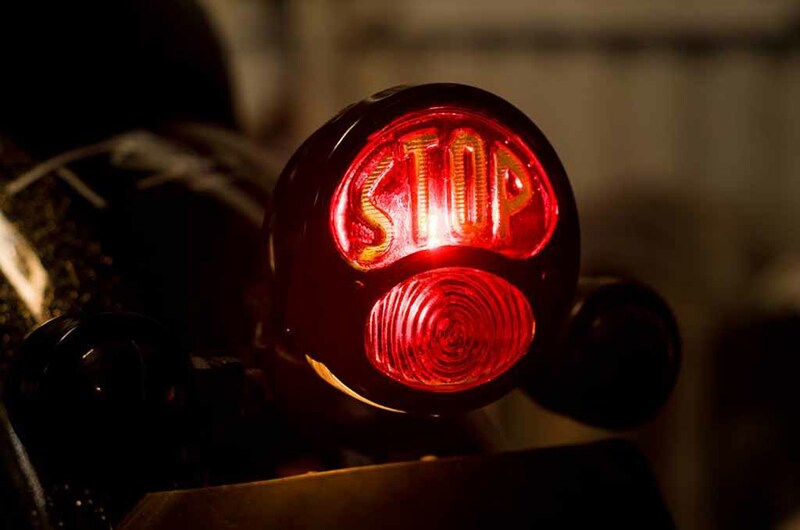 The turn indicators are positioned right below the hazard lamps. Apart from the motorcycle features twin-pod instrument cluster with chrome bezel. The fuel tank looks very muscular and the stylishly painted Royal Enfield lettering in white enhances the visual appeal further. The handlebar has been customised to deliver a retro feel and it also gives the rider more control over the machine. The seat comes better cushioned offering more comfortable riding experience and there is no pillion seat in the customised Thunderbird 350 Gold Stone. 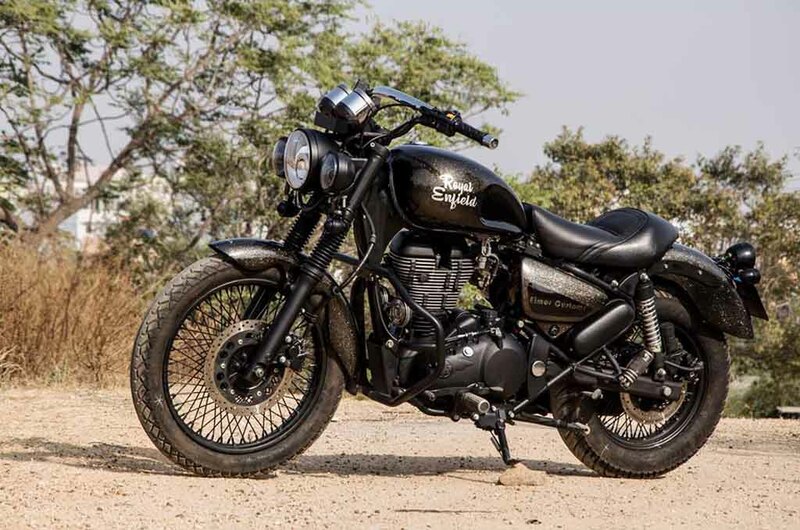 The rear gets a flowing mudguard, round shaped taillight portraying an old-school look, and the blackened exhaust increases the motorcycle’s masculine appeal further. 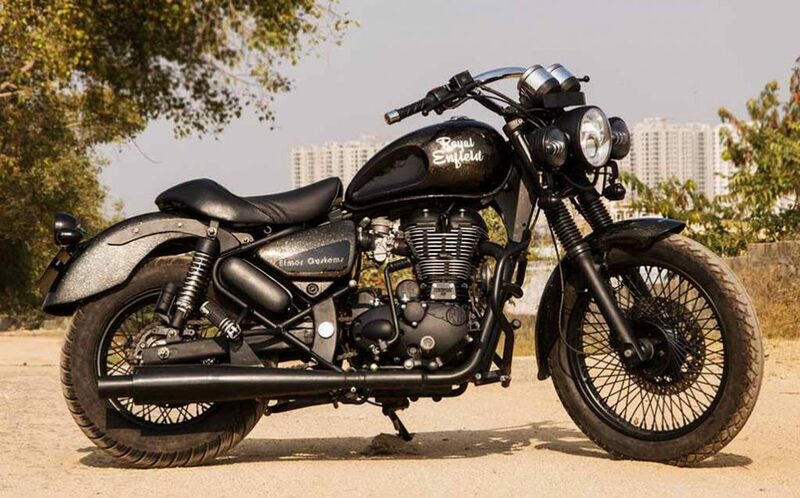 Power source for the Royal Enfield Thunderbird 350 is the same 346 cc air-cooled, single-cylinder engine, which does duty in the standard model. This engine is mated to a 5-speed transmission and capable of pumping out 19.8 bhp of peak power at 5,250 rpm and 28 Nm of peak torque at 4,000 rpm. The motorcycle runs on customised 15-inch front wheel and rear gets a 19-inch wheel with 80-spokes.